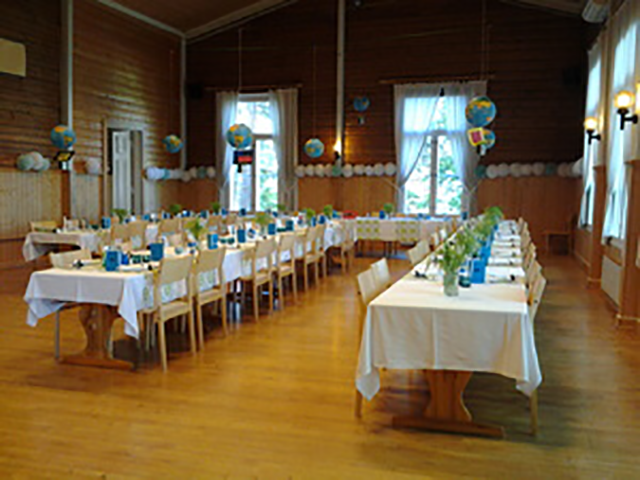 Seurakallio is a traditional Youth Association House. A small backstage leads to the stage which provides tables and sturdy chairs. The hall has wooden floors made of birch and its measurements are 8,5 m in width and 14 m in length. Even in the winter, the oil and electricity heating, and air-source heat pump provide a steady source of warmth for the house. The house is suitable for up to 200 people. For dining purposes the hall fits 100-120 seats and also features a piano. Information and booking: p. 040 745 1539.